Title: On the Lake II - This is an original painting by U.K watercolour and soft pastel artist Greg Howard. Title: On the Lake II – This is an original painting by U.K watercolour and soft pastel artist Greg Howard. As you probably realise by now I have a bit of a fascination with water whether it be lakes, ghyll’s or the sea. I also love being on it and as a result of this I have a lifelong ambition to learn how to sail so every now and again I do one of these paintings to just remind me of what could be. I currently have a rowing boat so I suppose that’s a step in the right direction lol.? One day! 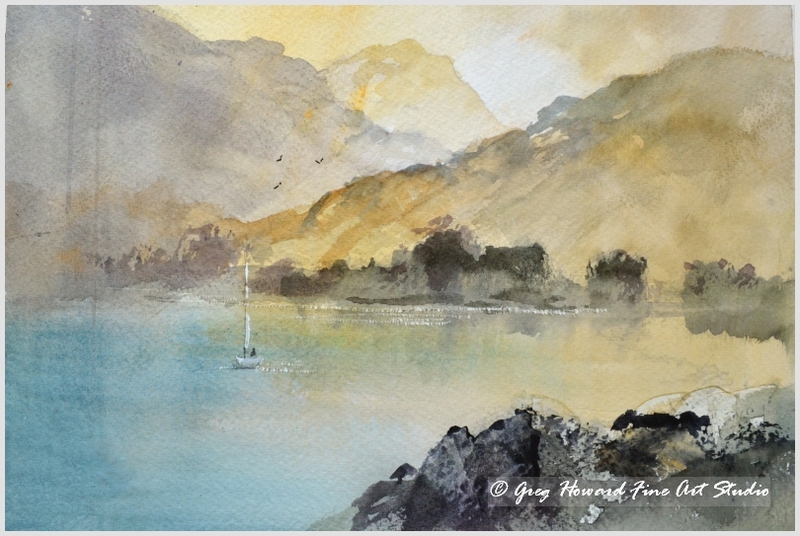 The original watercolour painting is 360mm x 260mm and is available either framed or unframed. Be the first to review “On the Lake II” Click here to cancel reply.